Little, Brown Books for Young Readers, 9780316506588, 32pp. "Parr's simplicity is integral to the power of his book. His positive messages are bolstered by the sunniness of his illustrations... Can love change the world? Here's hoping." 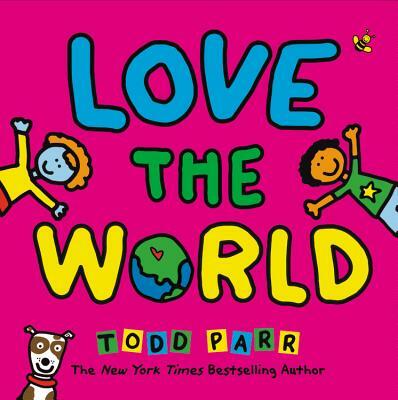 "Parr presents a rhythmic, rhyming picture book about the importance of loving oneself and the world around us.... Eye-catching illustrations reflect and celebrate the kind of simple, smiley-faced efforts a child might produce.... An appealing picture book best used for a classroom unit on Earth Day or one-on-one to talk about self-awareness and well-being."